Jennifer Frost's "Producer of Controversy"
Jennifer Frost is an Associate Professor in history at the University of Auckland, New Zealand. Her books include Hedda Hopper’s Hollywood: Celebrity Gossip and American Conservatism. Kramer: For the lead role, I’d cast Gary Oldman. His appearance and build, energy and range make him the right actor to play Kramer. Oldman’s current award-winning performance as Winston Churchill in Darkest Hour underscores his ability to immerse himself when playing historical figures. 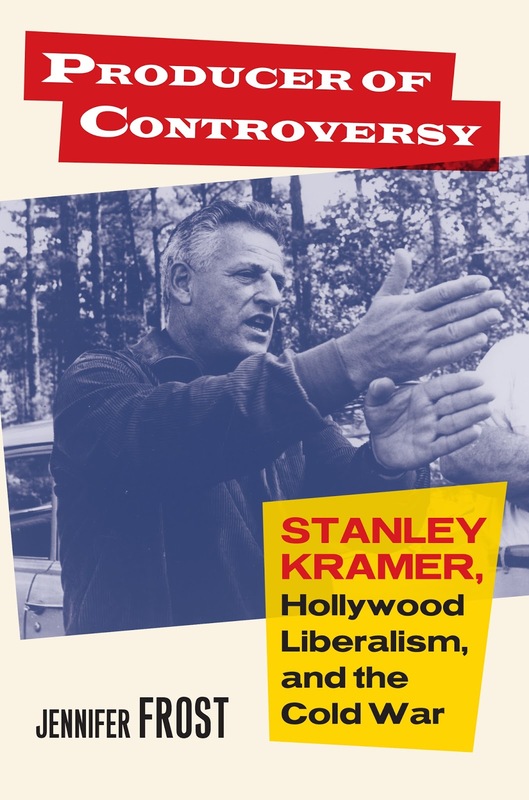 As an “actor’s director,” Kramer would have appreciated the versatility of this “actor’s actor” on screen, even if their off-screen politics would have differed. Foreman: A major plot line of the movie must be the relationship between Kramer and Foreman. But it’s a complicated one and needs to be conveyed with care: this is not a “good guy” v. “bad guy” story. Anticommunists created untenable, “no-win” situations for Hollywood liberals and leftists like Kramer and Foreman. Projecting principles in conflict alongside Oldman could be Liev Schreiber. His role in the 2004 remake of the Cold War thriller, The Manchurian Candidate, chillingly captured the political stakes of Kramer’s era as well as our own. Poitier: Since Sidney Poitier is still going strong at age 90+, I’d ask his opinion of who to cast as himself! He certainly offers opinions of Kramer. “I have to acknowledge Stanley as probably the most important element in my career,” he said in 2016. I would suggest two names to Sir Sidney, as Chiwetel Ejiofor and David Oyelowo would perfectly portray Poitier’s politesse. They have experience with historical roles and, as in Amistad (Ejiofor) and Lincoln (Oyelowo), working with my preferred director. My Book, The Movie: Hedda Hopper’s Hollywood. Rachel Lyon's "Self-Portrait with Boy"
Rachel Lyon is the author of the novel Self-Portrait with Boy. She teaches for the Sackett Street Writers Workshop, Catapult, Slice, and elsewhere, and offers private writing coaching. Most weeks she sends out a free writing/thinking prompts newsletter. She is a cofounder of the monthly reading series Ditmas Lit. Once I started thinking about who'd play Lu Rile, I got a little obsessive about casting the dream movie version of the book. One day in August I spent a couple of hours procrastinating, coming up with a dream cast. Since Lu is 27, I needed someone else for her role, someone short and young who could play unbeautiful, withdrawn, hyperfocused, self-conscious, passionate, fearsome—and, on top of all that, who could speak with the hint of a Massachusetts accent. One of my favorite actresses of all time is Tatiana Maslany, who plays so many different roles in Orphan Black. I'm sure she could do it. I'd want Kate Fine, the grieving mother of the boy who dies early on in the book, to be played by a tall former model with an interesting face. Beau Garrett would be great. I like the idea of casting people who used to be big in the 90s, since this book takes place in 1991. Ethan Hawke would be perfect for the role of Kate's husband Steve Schubert—a jerky, cocky, handsome, broken man. Then there are all the neighbors. So many neighbors in this book! I don't have actors for all of them, but I'd love Philip Philips, a beautiful gay cross-dressing painter, to be played by Bryton Eric McClure, who was Richie Crawford on Family Matters. Daniel Baldwin would make a great Bob Maynard, the alcoholic sculptor who lives on the third floor. I might cast Rene Russo in the role of Cora Pickenpew, the regal artist who lives in the so-called penthouse, and Jane Lynch as Nancy Meister, the radical Christian activist with the big gray dog. David Paymer could play their landlord Gary Wrench, an old New York type, if we could make him look a little older. And Edie Falco could play his daughter Carmela Mola, if we could make her a little younger. As for the other supporting characters, I definitely imagine Seth Green in the role of Chad Katz, Lu's annoying boss at the health food store. John Turturro would be an excellent Gideon Isaac, who's the unnerving, hyperintellectual, pompous yet playful headmaster at the private school where Lu ends up teaching. Wayne Salt, the wealthy, manipulative, one-legged Navy veteran and real estate developer, would have to be played by a middle-aged white guy with a bit of a menacing affect. I think of James Spader or John Malkovich. And Catherine Keener, another of my absolute favorites, would make a pitch perfect Fiona Clay. Brian E. Crim's "Our Germans"
The incomparable Wernher von Braun, Disney legend and skilled self-promoter, had two movies made about him while he was still alive. One was a glowing biopic called I Aim for the Stars (1960) starring Curd Jürgens. The film completely sanitized the SS Major’s past and portrayed von Braun as the great idealist the Cold War national security state hoped the American public would accept. Humorist Mort Sahl did not buy it and recommended a more appropriate title, I Aim for the Stars ... but sometimes I hit London. East German cinema produced a more negative portrayal of “America’s rocket baron” entitled Die gefrorene Blitze (Frozen Lightning) (1967), which was actually more accurate despite its obvious propagandizing. My ideal Wernher von Braun is Michael Fassbender. Handsome, chiseled, and intense – Fassbender resembles von Braun and has already proven himself a convincing German in Inglorious Basterds (2009) (although he famously gave himself away) and as the young Magneto in the X-Men franchise. Wernher von Braun is neither a hero nor a villain, and Fassbender can play everything in-between. Another key figure in Our Germans is a German-Jewish émigré named Walter Jessel. Jessel fled Nazi Germany in 1934 and became a US citizen just in time to enlist and return to his native Germany as a US Army intelligence officer. Jessel was among the first to interrogate the rocket team shortly after their surrender in May 1945. The experienced second lieutenant was skeptical of his subjects and wrote incredibly discerning reports. I see Logan Lerman, one of the finest young actors working today, as Walter Jessel. I was incredibly impressed with Lerman as the young recruit in Fury (2014) and the beleaguered first generation college student in Indignation (2016). The final character to cast is the petulant State Department lawyer Samuel Klaus. 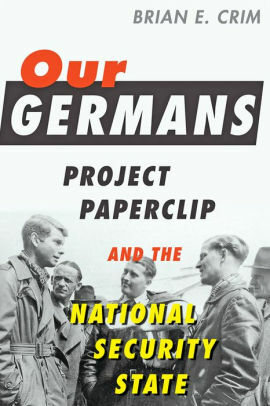 A fierce critic of Project Paperclip, Klaus was outraged the US would grant citizenship to hundreds of ex-Nazis while leaving displaced persons, mostly Jews, languished in central Europe surrounded by the very people who tried to exterminate them. Unlike Jessel, Klaus had an edge and provoked many people with this strong personality. I think Andrew Garfield captures this complex figure. He can evoke empathy, but he is zealous and caustic at times. Joanne Serling worked in women’s magazines, high tech public relations and later, as a director of public affairs for American Express before leaving the corporate world for life as a writer. While raising two young children, she attended The Writers Studio in New York City and published two short stories while part of the Master Class there. 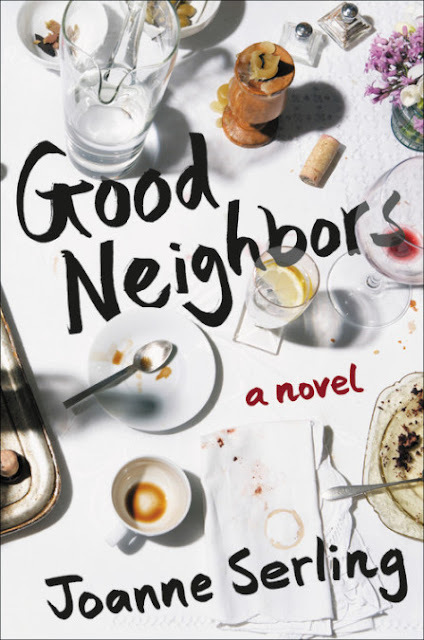 The story is told in the first person by neighbor Nicole Westerhof, an insightful observer who is nonetheless insecure and highly anxious. She continually waffles about whether the Edwards deserve her friendship, or her suspicion. I have always considered Amanda Peet the perfect actor to play Nicole; she has incredible emotional range and can appear both likeable and emotionally unsteady, two essential qualities for this role. I’d love to see Peter Sarsgaard play Nicole’s husband, Jay Westerhof, a slightly aloof and reserved man who is nonetheless decent and loving underneath. To make this movie a success, you’d need the perfect Paige and I’m certain after seeing I, Tonya, that Margot Robbie could nail this part, portraying Paige as cold, slightly unstable and highly manipulative. Leonardo DiCaprio is the ideal Gene Edwards, a man Nicole describes as too good looking to take seriously as someone’s middle aged husband and father--and whose weakness ultimately sinks the family. Two other couples complete this neighborhood tableau. Lorraine Weinberger, a good-natured gossip who stops by Nicole’s house nearly every day after work to trade stories about Paige’s strange behavior. Drew Barrymore could pull off this part with aplomb: she’s adorable, and ready for a more serious role as an adult struggling with her own superficiality. Lorraine’s boyfriend, Jeffrey, is easy going, passive, and occasionally sticks his foot in his mouth. Better Call Saul actor Bob Odenkirk would make a memorable Jeffrey. The fourth couple of this neighborhood group is Nela and Drew Guzman-Veniero. Nela has serious misgivings about being associated with Nicole, Lorraine and Paige, insisting that where she come from, in Puerto Rico, “you don’t get involved with your neighbors.” Tiffany Haddish, though neither Puerto Rican, nor as serious as Nela, would make this role her own, spicing up Nela’s brand of feisty resistance. Her husband Drew who is more easygoing but not exactly conventional could be played by Joaquin Phoenix. Of course, no movie is complete without a sensitive and astute director: my dream director is Tamara Jenkins of Slums of Beverly Hills and Savages fame. She goes where few other directors dare to go, into the marrow of human relationships. 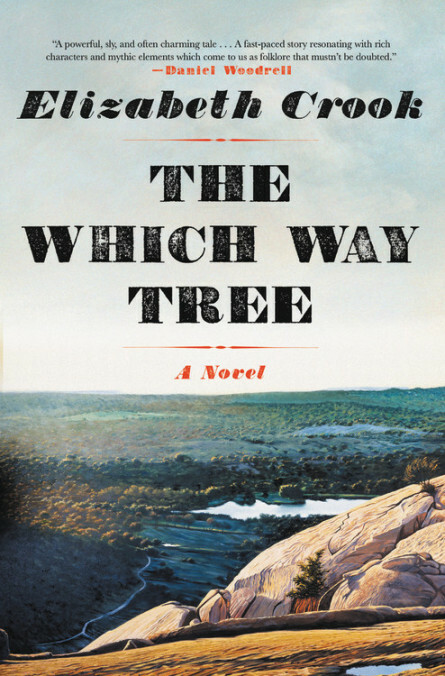 Elizabeth Crook's "The Which Way Tree"
Elizabeth Crook novels include The Night Journal, which received the Spur Award from Western Writers of America, and Monday, Monday, a Kirkus Reviews Best Book of 2014 and winner of the Jesse H. Jones Award from the Texas Institute of Letters. But as it turned out, Steve was busy and said he could only take part if I would co-write the script with him. I didn’t have any experience with scripts, having never written one, and in fact having never read one, so I had a steep learning curve in front of me. But it was fun. Bob Duvall is terrific. We finished each draft, sent it to him and his partners, and within two or three days they had read it and called us back on a conference call to go over their notes. Writing novels is a lonely process by comparison. It might be more gratifying in the long run because the finished book is your very own achievement. But the experience is less dynamic; there’s something innately energizing about collaboration. At this point we have a draft we’re all happy with, and now we’ll see what happens from here. Movies are a far more complicated business than I understood. Bob Duvall will of course play a role when we get things up and running. Along with his co-producers and the director and casting director he’ll go about filling the other roles. They’ve kindly kept me in the loop as part of the team, but I know better than to think I would have any decent casting suggestions that they aren’t already considering. 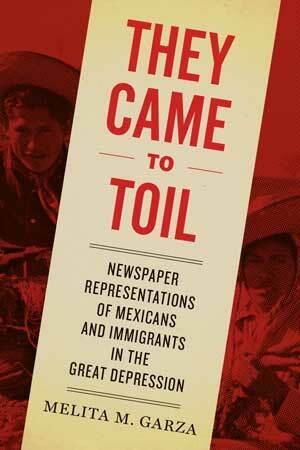 Melita M. Garza's "They Came to Toil"
Melita M. Garza spent more than 20 years reporting for U.S. news organizations, including the Los Angeles Times, the Chicago Tribune and Bloomberg News. While earning her doctorate from the University of North Carolina at Chapel Hill, she became a media historian, committed to telling the untold stories about journalism’s role in furthering social justice and defining Americanhood. Since the key dramatic tension revolves around how three competing U.S. news organizations with distinctive editorial voices covered Mexican immigration in the early 1930s, the casting of the three editors and publishers is most critical. I would cast Mexican actor Adan Canto (Designated Survivor’s Aaron Shore) as Ignacio Lozano, publisher of La Prensa, then the most important Spanish-language publication in the United States. Canto would bring the enterprising immigrant’s sensibility to the part. I’d cast Gary Oldman as William Randolph Hearst, who during the early Great Depression owned the biggest newspaper chain in the United States, and who wrote numerous anti-immigrant editorials that were published in many of his newspapers, including the San Antonio Light. Hugh Jackman would appear as the Light’s dashing, charismatic, and raconteurish editor, William M. McIntosh. Michael Peña (Cesar Chavez, Crash, Million Dollar Baby) or Joaquin Phoenix (Walk the Line) would play San Antonio Express publisher Frank G. Huntress, whose mother was Mexican-born. The movie would be shot on location in San Antonio, Texas, so Spanish architecture, including San Fernando Cathedral and the five Spanish-built missions would have a starring role. For director, I’d choose either the brilliant San Antonio-born director, Robert Rodriguez (Desperado, Spike Kids) or the brilliant Mexican-born actor/director/producer Eugenio Derbez (Instructions Not Included). The screenplay would be built around the major immigration news stories that occurred between 1929 and 1934, which marked the deepest recessionary period of the Great Depression. These leave many opportunities for cameo appearances. For instance, Gina Rodriguez (Jane the Virgin) and Eva Longoria (Desperate Housewives) might be cast as the women leading the pivotal jobless protest through the streets of downtown San Antonio in 1930. I’d select the multi-talented innovative composer Carlos Garza (Nosferatu, Metropolis, Salomé) to score the film. Learn more about They Came to Toil at the University of Texas Press website. The Page 99 Test: They Came to Toil. R. E. Stearns's "Barbary Station"
R. E. Stearns wrote her first story on an Apple IIe computer and still kind of misses green text on a black screen. She went on to annoy all of her teachers by reading books while they lectured. Eventually she read and wrote enough to earn a master's degree in curriculum and instruction from the University of Central Florida. She is hoping for an honorary doctorate. When not writing or working, R. E. Stearns reads, plays PC games, and references internet memes in meatspace. She recently moved to Denver, CO with her husband/computer engineer and a cat. 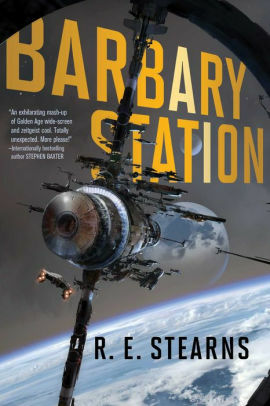 People keep talking about how cinematic Barbary Station is, but I never thought about it that way while I was writing it. When I'm thinking of how characters look I reference images of non-celebrities, like pictures I stumble across on Instagram while I'm looking for something else, or hair models for cosmetology students. It reminds me that I'm writing about people who have neither the time nor the money for professional physical training. Of course, one point-of-view character would rather be running than walking in any given situation (that's Iridian,) so somebody like Dominique Tipper, Florence Faivre, or Freema Agyeman could play her easily. It helps that we already know from Sense8 that Ms. Agyeman doesn't mind kissing women on screen. Casting Iridian's girlfriend Adda would be harder. She's curvy in a different way than Hollywood prefers. Assuming they could be convinced to put on weight: Jennifer Lawrence (I know, everybody's tired of her, but she's the right size), Ashley Benson, or Lena Dunham. This probably shows that I know nothing about casting! But it's fun to imagine our heroines wearing much more makeup than they usually do. Visit R. E. Stearns's website and Twitter perch. Writers Read: R. E. Stearns. Laura Madeleine's "Where the Wild Cherries Grow"
After a childhood spent acting professionally and training at a theatre school, Laura Madeleine changed her mind and went to study English Literature at Newnham College, Cambridge. The author of The Confectioner's Tale, she now writes fiction, as well as recipes, and was formerly the resident cake baker for Domestic Sluttery. She lives in Bristol, but can often be found visiting her family in Devon, eating cheese, and getting up to mischief with her sister, fantasy author Lucy Hounsom. Oh, I always find these things really tricky. I never have a particular actor in mind while writing, or an image, other than a photograph or portrait. In Emeline’s case (one of the lead characters in Where the Wild Cherries Grow) the closest I ever came looks-wise was the Italian photographer, actor and activist Tina Mondotti. Emeline Vane: I think Rooney Mara is a captivating actor, and that she could capture some of Emeline’s inner life, and the emotional changes she undergoes. Or perhaps Florence Pugh? I saw her recently in Lady Macbeth and was impressed. Bill Perch: Bill is a character very much inspired by my father. He’s a working class lad, who’s earnest, frustrated and feels things deeply. Maybe Josh O’Conner or Billy Howle. Aaro Fournier: César Domboy. Or Rami Malek? I’m open to suggestions! Clemence “Maman” Fournier: Julianne Moore. She’s been one of my favourite actors since Far From Heaven. Director: Hettie McDonald directed an adaptation of E.M. Forster’s Howard’s End recently, which I really enjoyed. Or Todd Haynes! He could capture the lustrous colour and light of the south of France. The Page 69 Test: Where the Wild Cherries Grow. 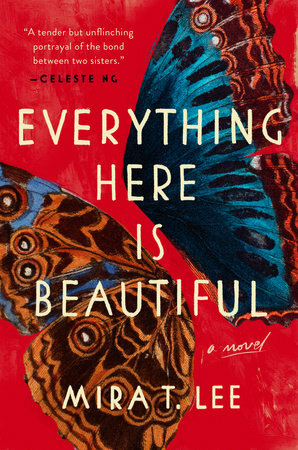 Mira T. Lee's "Everything Here Is Beautiful"
Mira T. Lee's debut novel, Everything Here is Beautiful, was named a Top Winter/2018 Pick by more than 30 news outlets, including The Wall Street Journal, Huffington Post, O Magazine, Poets & Writers, New York Magazine, Chicago Review of Books, Seattle Times, Buzzfeed, Marie Claire, Real Simple, and Electric Lit, among others. 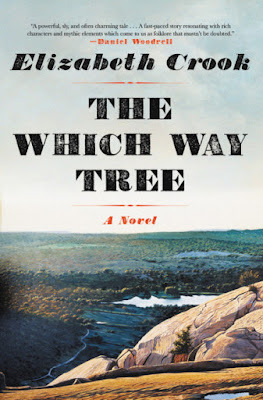 It was also selected as an Indies Introduce title (Top 10 Debut) and Indie Next pick by the American Booksellers Association. Everything Here Is Beautiful is a messy cross-cultural family drama starring two Chinese-American sisters, a one-armed Israeli, a Swiss urologist, and a young Ecuadorian immigrant. Sometimes it still amazes me that the story was published in written form, never mind dreams of having it made into a movie (a long shot, given the cast, says my film agent. But… I have a film agent, how ridiculous is that?!). There are still relatively few prominent Asian/Asian-American actresses today, and even fewer leading roles for them, though it’s hard to say which is supposed to come first. Miranda, the older, more strait-laced sister, possesses an ingrained sense of responsibility that bumps up against her desires for freedom and self-fulfillment. The inimitable Sandra Oh, or Fresh Off the Boat’s Constance Wu, or Downsizing’s luminous newcomer, Hong Chau, might fit the bill. Lucia, the younger sister, struggles with a serious mental illness, making hers the more challenging role. She’s quirky, free-spirited, bursting with life — until her illness takes hold, and then she’s sheathed in darkness, paranoid, irrational, often irascible. Heavily medicated, she takes on another dimension: dulled. We haven’t seen an Asian-American actress in this kind of dramatic role, which would demand a virtuosic range, but I’d try out Kelly Marie Tran (who lights up Star Wars: The Last Jedi), Hawaii Five-O’s Grace Park, who might shine portraying Lucia’s softness along with fierceness, Mission Impossible III’s Maggie Q, or comedian Ali Wong. For the men in the sisters’ lives, we have plenty more options. Stefan, the Swiss doctor, has the “essence” of an elk, calling for a Colin Firth or Viggo Mortensen type, albeit younger - Tom Hiddleston, most recently of The Avengers, or Matt Smith, of The Crown. Yonah, the Israeli, is ceaselessly charismatic, even as he wavers in and out of midlife crisis. Brash and warm, he’s Mandy Patinkin twenty years ago - possibly Big Bang Theory’s John Galecki, or Sacha Baron Cohen, though going in another direction entirely there’s also Jay Duplass (of Transparent fame). Manny, the Ecuadorian, is younger, solid, steadfast, though as an undocumented immigrant with a baby daughter, he’s also anxious and skittish. Diego Luna of Rogue One fame could play up his sensitive side, though Anthony Ramos is the more fitting age. Then there’s Oscar Isaac, who has the perfect look (does he have a younger brother? ), and whose versatility also makes him an excellent candidate for Yonah - because who doesn’t want an actor like Oscar Isaac somewhere in their movie? A lot of great roles for a diverse cast, that’s for sure. Ang Lee to direct. (Though a mini-series for Netflix, or Oprah’s network, or produced by Reese Witherspoon’s Hello Sunshine would be just fine, too). Now, wouldn’t it be amazing if a movie like this could actually get made in today’s Hollywood? Sigh. One can dream. Visit Mira T. Lee's website. Nina Sadowsky's "The Burial Society"
Ballantine published filmmaker Nina Sadowsky’s debut thriller, Just Fall, in March 2016. She is developing a TV series based on the book. Sadowsky has written numerous screenplays and produced many films including perennial favorite The Wedding Planner. She also teaches script development and producing at USC’s School of Cinematic Arts. It’s not fair to ask me to play this game. 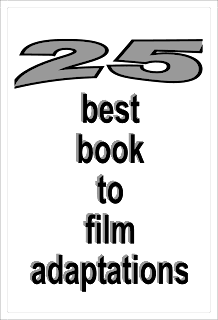 I became a writer after a 25-year career as a film and television producer. In my prior incarnation, one of my customary tasks was to create lists of potential cast for every project on my slate. I rarely even took a script on if I didn’t understand its casting potential from both a creative and an economic standpoint. Because of this history, it’s impossible for me to have a dreamy-eyed vision of my perfect cast. Of course I think first about creative fit. But past that, I inevitably weigh a litany of other factors, starting with box office appeal, both domestic and foreign. For example, if I’m trying to fund a project through the pre-sale of foreign distribution rights (a typical practice in independent filmmaking), I have to gauge an actor’s appeal in each individual market. How an actor performed in past movies or television shows of a similar genre is one consideration in the determination of that appeal. I also have to look at the balance of the value of one actor to the ensemble as a whole, and then those relative values must be weighed with respect to the budget. While spending extra for a star director or “name” cast certainly happens (it’s called “breakage” because it “breaks” the budget), every project does have its budgetary limitations. Scheduling is also an ever-constant concern. The most sought after actors and directors, the ones most likely to get a project a “greenlight,” are also the busiest. Getting the planets to align around the right combination of director and cast creatively, financially and logistically is a Herculean task, so one learns to be flexible. I adapted my first book, Just Fall, for television and have done a variety of “lists” for my lead, a woman who discovers on the night of her wedding that her husband is a contract killer. She’s written as a blonde (who quickly dyes her hair black while on the run) in a conscious inversion of the Hitchcock blonde trope. We’re currently discussing a variety of actors including many dark-haired women and I’m prepared to adjust the script to fit. 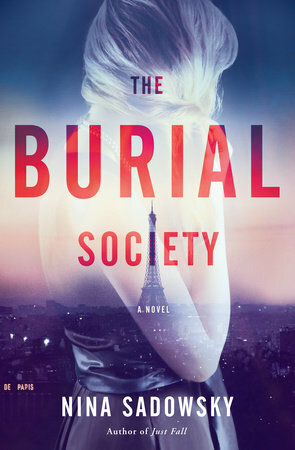 My new thriller, The Burial Society, is about a woman who lives off the grid and helps abused women, whistleblowers and others whose lives are endangered escape into new, safe lives. 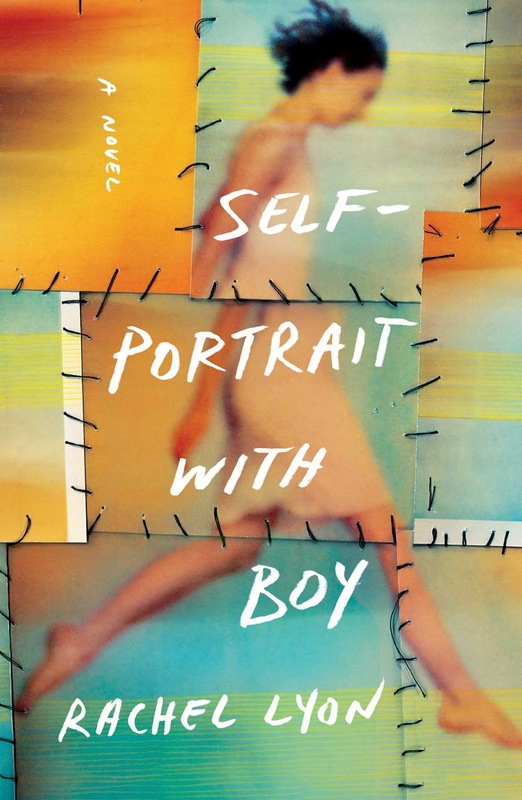 The themes of the novel are self-reinvention and the need for courage in order to face change. My protagonist is a woman of many identities and disguises. And while I have too much information in my head to commit to a dream of one actor, I do hope that if I’m lucky enough to sell this book for an adaptation that the part instead will be an actor’s dream. The Page 69 Test: The Burial Society. Jane Corry is a writer and journalist and has spent time as the writer in residence of a high-security prison for men–an experience that helped inspire My Husband’s Wife, her suspense debut. This would be my dream come true! However, I have to be honest here. I’m more familiar with older actors and actresses. I still pine for Robert Redford - as a teenager, I dreamed of him sweeping me off my feet! So I would like a young RR to play Crispin. I think his boyish good looks and charm would be perfect. Similarly, a youthful Tom Hanks would be just right for Robin. I can just see him being rather awkward at the beginning and then growing into the more self-assured adult towards the end of Blood Sisters. Alison is more of a challenge. She needs to appear traditional but have hidden depths. I’d like a total ‘unknown' for her. It would be great if someone made their name from taking her on. As for Kitty, someone really special would need to play her. 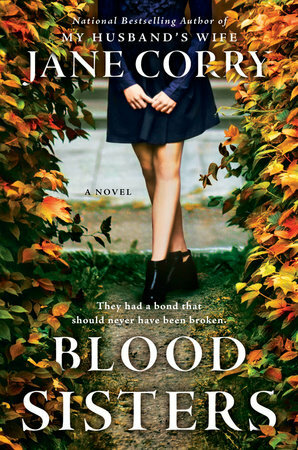 Blood Sisters came out in the UK last summer and ever since then, I’ve had lots of emails from readers to say how much they love her. I think a young Goldie Hawn would fit the bill perfectly. I know that she would be both funny, sad and shocking - which is just what the role needs. Director-wise, I’d be really interested in Jodie Foster. She would be able to delve into the shocking, sensitive issues in Blood Sisters. George Clooney would be good at this too. If nothing else, it would give me a chance to tell him that his wife went to the same school in the UK as my daughter! 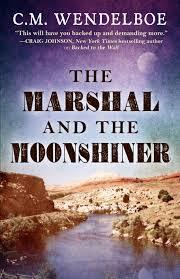 C. M. Wendelboe's "The Marshal and the Moonshiner"
Wendelboe moved to Gillette, Wyoming, and found his niche, where he remained a sheriff's deputy for more than 25 years. In addition, he was a longtime firearms instructor at the local college and within the community. I frequently have actors in mind when I develop characters, only because it helps to keep me focused. In my recent novel, The Marshal and the Moonshiner, I envisioned John Goodman as my lead sleuth, Nelson Lane. Nelson is a middle-aged U. S. Marshal, a big, husky former Marine in WWI. When John Goodman portrayed Walter Sobchak in The Big Lebowski, he took scheming to a new level. And as “Big Dan” in O Brother, Where Art Thou, he depicted a ruthlessness while maintaining a dry sense of humor as he makes short work of Everett and Delmar, robbing and beating them. I can see Goodman bulling his way past moonshiners and bootleggers to get the information he wants. Rebecca E. Zietlow's "The Forgotten Emancipator"
Rebecca E. Zietlow is Charles W. Fornoff Professor of Law and Values at the University of Toledo, College of Law, where she teaches Constitutional Law, Federal Courts, and Constitutional Litigation. She received her B.A. from Barnard College, and her J.D. from Yale Law School. In 2012, she received the University of Toledo Outstanding Faculty Research Award. As you can see, Ashley was a fascinating character whose life was full of drama. 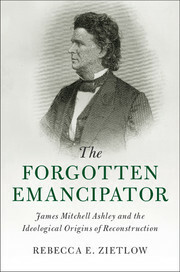 However, Ashley is not the only reason why The Forgotten Emancipator would make a great movie. The book also describes the political anti-slavery movement and the nascent labor movement in the first half of the nineteenth century. Anti-slavery constitutionalists argued that slavery was unconstitutional even before the 13th Amendment. They formed the Liberty and Free Soil Parties and, eventually, the Republican Party. Labor leaders argued that they were subject to wage slavery and fought for better wages and a shorter working day. Leaders in both movements developed a theory of rights that influenced Ashley and other members of the Reconstruction Congress. Learn more about The Forgotten Emancipator at the Cambridge University Press website. 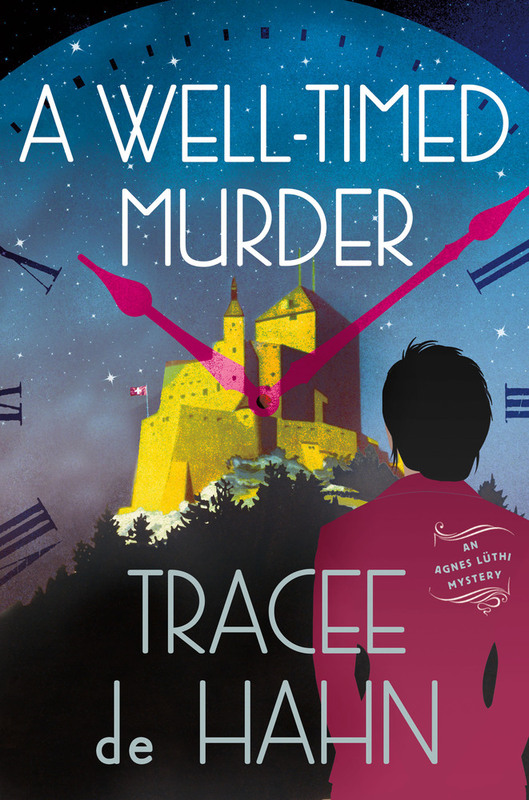 Tracee de Hahn's "A Well-Timed Murder"
Tracee de Hahn writes the Agnes Lüthi mystery series set in Switzerland. The new book in the series: A Well-Timed Murder. I’ve consistently avoided the casting question. That changed when I saw Jessica Chastain in Miss Sloane. I’ve admired her work for years, from The Help, to Zero Dark Thirty and The Martian. The power and nuance of Chastain’s performance in Miss Sloane made me understand that I’d always cast my protagonist based on appearance. Now I realize that I want her cast for character (let hair and makeup and costume teams work their magic to transform Chastain’s appearance). Agnes Lüthi is strong and vulnerable, she’s dedicated to her family and to her job. She wants a private life but shrinks from a new relationship after her husband’s betrayal and death. I know that Ms. Chastain has the ability to show these conflicting emotions. She would bring Agnes to life! If we talk directors, I want the team that produced and directed the television series Broadchurch. They achieved an intensity that balances despair with hope, coupled with an attention to characters and story that is engrossing. Visit Tracee de Hahn's website. Coffee with a Canine: Tracee de Hahn & Alvaro and Laika. The Page 69 Test: Swiss Vendetta. Writers Read: Tracee de Hahn. Laurie Gwen Shapiro has most recently written articles for publications including The New Yorker, New York Magazine, The Daily Beast, Slate, Aeon, Los Angeles Review of Books, and has her own history column focusing on unsung heroes for The Forward. Shapiro is also a documentary filmmaker who won an Independent Spirit Award for directing IFC’s Keep the River On Your Right: A Modern Cannibal Tale and an Emmy nomination for producing HBO’s Finishing Heaven. 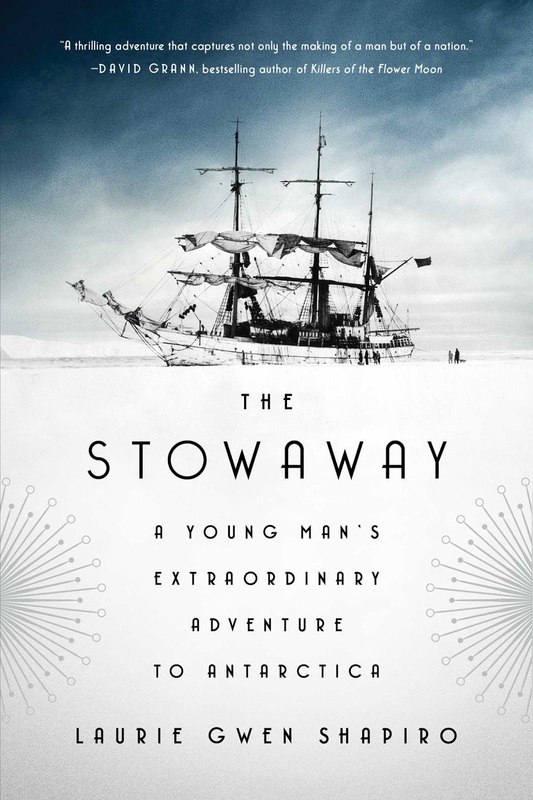 Shapiro's latest book is The Stowaway: A Young Man's Extraordinary Adventure to Antarctica. 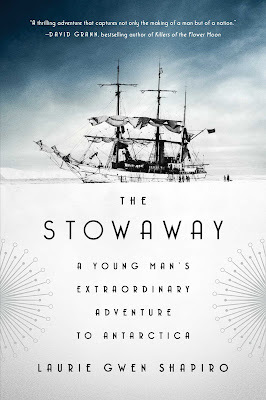 The stowaway: Billy Gawronski—a skinny, first generation New York City high schooler desperate to escape a dreary future in the family upholstery business—who in 1928 jumped into the Hudson River and snuck aboard a ship headed to Antarctica, the planet’s final frontier. In 1928 Admiral Byrd was still Commander Byrd. He left for Antarctica at the young age of 38, strong but slight, very handsome – a true heartthrob for many. Leonardo DiCaprio or Emile Hirsch for Byrd? And Billy could go to Ansel Elgort? That‘s the first person that comes to mind. He looks like him a bit even. But maybe you have to go even younger like one of the kids on Stranger Things, like Finn Wolfhard. 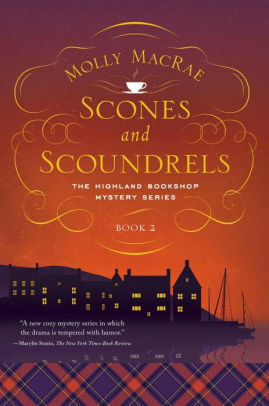 Molly MacRae's "Scones and Scoundrels"
I worked through this interesting exercise a year ago when my Highland Bookshop Mystery series debuted. Now, with the second book out, and looking over last year’s choices, I think they hold up pretty well. I’m making two changes among the main characters, though, and inviting a new director to the project (and if this were real life, these changes would be very exciting). I’ve also cast some of the secondary characters left out last time, and several of the new characters. Caroline Quentin will appear as Janet Marsh, the retired American librarian who dreamed up the offbeat retirement scheme of buying a bookshop in Scotland. Quentin will have to age a few years and assume an American accent for the part, but I know she can do both. I’d previously cast Kathy Bates as Janet. She would have brought intelligence and the right touch of humor to the role, but Quentin will bring those and an incredible spark of joy. Emma Thompson will appear as Christine Robertson, one of Janet’s business partners. Christine is a Scotswoman returning to her hometown to help run the bookshop and to look after her aging parents. Like Quentin, Thompson is a few years too young for her role and will have to assume an accent. Thompson is half Scottish, though, and spends part of each year in the area where my fictitious town is located, so she’ll have no problem. And I think she’ll have fun slipping into Christine’s “Queen Elizabeth” persona. I originally chose Dinah Sheridan to play Christine. She would have been fantastic, but was an unrealistic choice. Sadly, she died in 2012. Linda Cardellini as Janet’s daughter Tallie Marsh, a burnt-out lawyer and law professor who joins the bookshop venture. Sarah Michelle Geller as Summer Jacobs, the fourth bookshop partner, a newspaperwoman turned baker. Peter Capaldi as odd jobs man Rab MacGregor. David Tennant as Constable Norman Hobbs. Richard Rankin as Reddick, a member of the Major Investigation Team from the Specialist Crime Division of Police Scotland. Douglas Henshall as newspaperman and fiddler James Haviland. Barbara Rafferty as library director Sharon Davis. Jenny Seagrove as eccentric visiting author Daphne Wood (Seagrove is older than Daphne, but she’s perfect for the role). Olivia Colman as English teacher Gillian Bennett. Mandie Fletcher has brilliantly directed British comedy series for years, including Clatterford, Absolutely Fabulous, and Blandings. If she were to direct the film version of Scones and Scoundrels, it would be an absolute dream come true.